World Beard Day is an annual celebration held on the first Saturday in September. The exact origins of the holiday are unclear, but that does not prevent bearded communities throughout the world from celebrating it by organizing numerous festive events. World Beard Day aims at bringing together people with beards from every continent and nation. 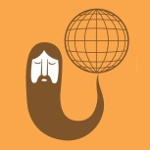 It focuses on the promotion and elevation of the global status of the beard as a universal symbol of manliness. On this day, bearded men typically gather together and engage in joyous festivities. World Beard Day events and activities can include (but are not limited to) parties, barbecues, team and individual sporting competitions, games (be it drinking games, card games, board games or RPGs), sing-alongs. In many countries and cities, some customs are specific to a particular region. Beardless family members can show their support by relieving bearded members of household chores and letting them relax, cooking something tasty for them etc. Even if you are not fond of beard and prefer to be clean-shaven, it is highly recommended that you abstain from shaving on World Beard Day, as shaving during this holiday is considered to be highly disrespectful.